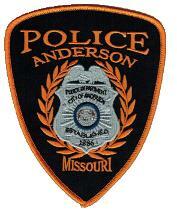 To promote a safe a secure place to live for the Citizens of Anderson. We have and will continue to better the community in which we live and serve. We provide 24 hour police protection within the City Limits as well as many services for the Citizens such as vehicle unlocks, building checks and general questions about the city or locations. I will never betray my badge, which I will wear with pride. I will always be true to my community which I serve, My Country which I so proudly represent and my Brothers & Sisters in blue, who with me keep the evil at bay. the courage to defend the helpless, protect the innocent and pursue the truth. my faith and the agency I serve. A true servant and guardian of The Law.